July | 2014 | Swaray Law Office, LTD.
Paternity: Forced to be a Father? Do you know that you can be legally forced to continue to be the biological father of a child in Minnesota if the child was born while you were married to the mother but the mother slept with another man to give birth to the child? This has happened to many men in Minnesota. The State, the mother and the courts force them to be fathers of the children if they did not de-establish their paternity before the children were three years old. 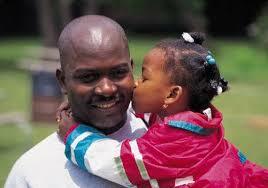 They also force the men to provide support for the child till he or she is old enough to be self-supporting. The law that forces biological fatherhood upon them was built upon the proposition that societies must have families in which children have fathers that they look up to as parents and for support. 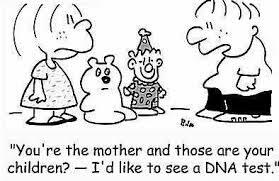 This must be the case even though the fatherhood is not biological and was born of marital foul play. 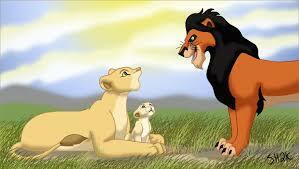 It must also be the case though the assumed father later finds that another man is the father of the child. The law fails to protect men that are victims of the marital infidelity, and compels them to support the by-product of the infidelity even if they don’t want to. I believe that children must be emotionally and financially supported, and the government and society must do everything possible to ensure that the support is provided. So, I think it was in the best interest of children for the state legislature to have enacted a law to ensure that they are supported by men who by being married to their mothers, are presumed to be their fathers. But this effort went too far when it placed the support responsibility on the backs of men that did not give birth to the children. It also went too far by placing a limitation on when the men can de-establish their paternity of the children. To avoid victimization, a man, in this situation, must make sure, through a paternity test, that he is the biological father of the child before the child is three years old, whenever he has reason to doubt whether or not he is the father. The Minnesota state legislature must also change the law so that the victimized fathers can bring actions to de-establish paternity at anytime. If you do not believe that you are the father of a child born while you are in a marital relationship, and failed to find out that you are not the father before the child is three, contact an attorney at Swaray Law Office (763-549-0670) or email us at swarayassociates@cs.com for competent legal representation. We can help you out of the victimization!!! We are situated in Brooklyn Center, Minnesota. 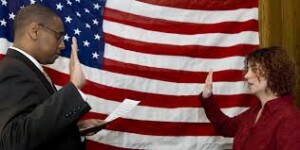 There are two general ways that a person can become an American citizen. One of them is by birth in mainland United States or its territorial possessions or to a United States citizen that is living in a foreign country. The United States citizen living in a foreign country should have resided in the United States for at least a year before moving to the foreign country. After December 12, 1952, a person can also be a US citizen if he is under five years old, and nobody knows about her parents and background. If it is, however, found that she was born outside the United States before she is 21 years old, her citizenship right may be revoked. 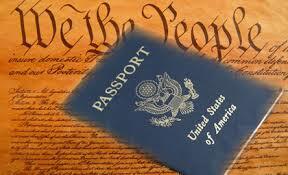 A person born abroad does not need to undergo a naturalization process to acquire her citizenship right. She automatically acquires the right at birth as if she was born in the United States. To be able to prove that she is a United States citizen, however, she may want to apply for and acquire a United States passport or certificate of citizenship. Children adopted by United States citizens also acquire the citizenship automatically, and do not need to apply for the right. To prove that they are United States citizens, they also need to apply for a certificate of citizenship or United States passport. To qualify for the automatic citizenship, one of the adoptive parents must be a United States citizen, and the adopted child should be under 18 years old, fully adopted and admitted to the United States as a permanent resident and resident in the country in the legal and physical custody of the citizen parent. Unlike adopted and biological children, step children do not qualify for automatic United States citizenship. 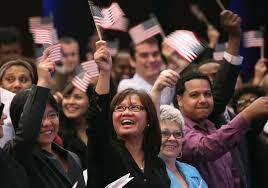 A person can also be a United States citizen by naturalization. Over the years, many people have become citizens though the process. 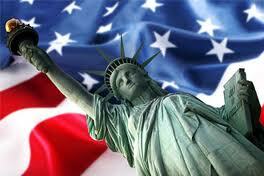 In 2013 alone, a total of 779,929 persons became United States by naturalization. The new citizens were predominantly from Mexico (12.9%); India (6.4%); Philippines (5.6%); Dominican Republic (5.1%); and China (3.9%). Naturalization, when defined, is a process of becoming a citizen of a country, not by been born there, but by meeting requirements as prescribed by the laws of the country. In the United States, one can be a naturalized citizen if the person proves that she is at least 18 years old; has been a permanent resident in the country for at least three or five years; has good moral character; is physically present in the country and not absent for more than one year in all the years in which he could be a US citizen; and has passed the history, civics and English exam. 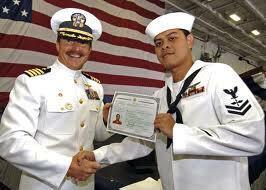 In the naturalization process, the good moral character requirement cannot be waived. But if the person has honorably served as a military officer in some military hostilities in which the United States was involved, the permanent resident requirement may be waived, and the person accorded automatic citizenship. The English, civics and history exam may also be waived if the person shows that she is so disabled that she cannot take the exam. Additionally, a person may be exempt from taking the exams if she proves that she is more than fifty years old, and has been a permanent resident in the United States for over twenty years, or she is fifty-five years old, and has been a permanent resident for at least fifteen years. This article is written by an immigration attorney at Swaray Law Office situated in Brooklyn Center in Minnesota in the United States. It is a summary of the American citizenship process. It is not meant to be a legal advice to the reader. If you want to know more about the American citizenship process, please kindly contact an immigration attorney at Swaray Law Office either via email at swarayassociates@cs.com or by phone at 763-549-0670. 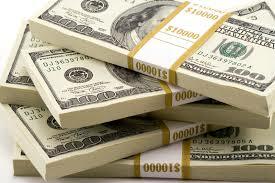 Mr. Amadu Edward Swaray has collectively settled several personal injury cases worth over $100,000. Some of the cases he has settled include car accidents where clients have incurred severe injuries costing them time away from work, physical and mental anguish, slip and fall accidents at places of employment, supermarkets and residential properties. Mr. Swaray fights diligently for his clients to ensure that they are fully compensated for their misfortune. 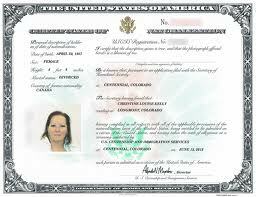 Mr. Swaray has assisted several clients in attaining United States citizenship. However, some of the cases are tougher than the others. For example, we provided legal services to a client over 70 years old who had applied for citizenship. Mr. Swaray used the disability exception under citizenship immigration law to build a strong case for her and the client’s application was approved and she became a U.S. citizen. Another notable case was one where the client was in removal proceedings after he initiated a citizenship application. He had a pending unscheduled court date but through effective and efficient defense, Mr. Swaray not only managed to have the removal proceedings dismissed, but also got approval for the client’s citizenship application. A critical case where Mr. Swaray was also triumphant was where he convinced the Citizenship and Immigration Services to approve a citizenship application for a client who hails from a sensitive area of the world that is usually suspected by the United States for terroristic activities. Throughout his 14 years of experience, Mr. Swaray has seen his clients through some of the toughest odds to see them through the grueling Green Card application process. Many clients who have been successful in obtaining Green Cards have been without status and in deportation proceedings. These clients have all managed to successfully obtain permanent residence, gain lawful employment and contribute to society as legal residents of the United States with the skillful expertise of Mr. Swaray. Mr. Swaray managed to successfully apply for an Extension of Prima Facie Evidence on a client’s VAWA application. The client had not yet received a decision on their I-360 Petition for Amerasian, Widow(er) or Special Immigrant Application and his Prima Facie Determination was about to expire. By presenting strong evidence, Mr. Swaray got the client an extension giving the client an opportunity to proceed to the next phase of his application. 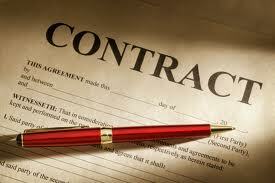 Mr. Swaray worked with a client who was fighting a Breach of Contract case against Hennepin County, Minnesota, USA. The client filed a summons and complaint against Hennepin County alleging breach of contract in relation to a contract for leased premises. During the case, Hennepin County requested a Motion to Stay Discovery which was denied giving our client the opportunity to proceed to the next phase of the case. Mr. Swaray has had major success in several family law cases ranging from divorce settlements, spousal maintenance, child custody hearings, paternity suits and child support. Mr. Swaray saved a client over $100,000 in spousal maintenance; he saved another client over 60% in child support and has gained success in a countless number of divorce cases.